Away from home? You can now view what's going on at home or at the office with this handy little network camera. 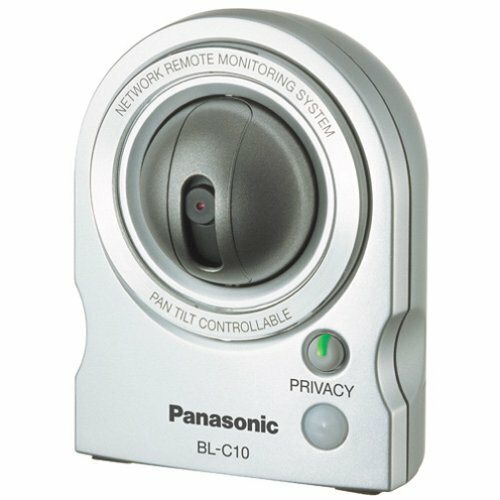 These cameras can be viewed and controlled from a standard Web browser, video display, or even a compatible cell phone or PDA. Place them in your home, office, vacation home or almost anywhere else that you'd like to keep an eye on things, with no PC required on location!. They are easy to install and operate and require no additional software for the PC that you're viewing them on. Each camera also comes with a free Web address, which can track the camera automatically. All you need is a regular Web browser to view them on your PC, as all of the other required software, including control software (TCP/UDP) and e-mail software (SMTP), is already inside the camera. This network camera is truly easy to install and use in most cases. With industry standard automatic configuration (UPnP), the camera and your router or PC will automatically decide the best settings allowing you to access your camera without any complicated setup. Once connected, using a simple Web browser, just enter in your free, permanent Web address which comes with the camera and you can see and move the camera! It's that simple.